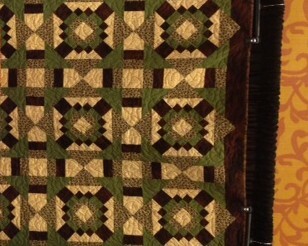 Does anyone know the name of this quilt. I don't know the name....but I sure do like it. ​Don't recognize it but it might be a combo of 2 different blocks? It certainly looks like tartan is right; it is two alternating blocks set on point. What those two blocks are called I don't know. 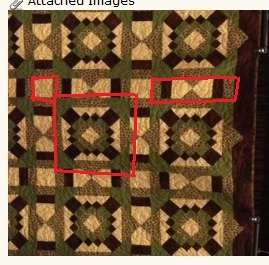 On the edges, the alternate blocks are not full blocks and what I would call the featured blocks extend into the border. Sure is pretty. Sorry I can count 3 blocks. The diagonal, the hourglass and the square. The diagonal is the only block I have never seen before but thinking it is a mixture of a few blocks. i see three blocks, also. the main block, a sashing block, and a plain cornerstone.